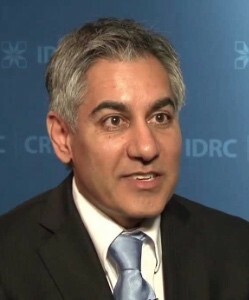 Naser Faruqui is IDRC’s Director of Technology and Innovation. He leads a global team that helps developing countries use science, technology, and innovation for sustainable and equitable development. His areas of expertise include science and innovation systems in developing countries; science diplomacy; innovation, trade, and growth, open models of development, international knowledge networks, and open access to research outputs, and urbanization.